FROM THE RIVERSIDE, you can see both of the Congos at once. Across the Pool Malebo, the widest point on the river, Brazzaville and Kinshasa — the capitals of the Republic of Congo and the Democratic Republic of Congo (the former Zaire) — face one another. Together they are home to more than 10 million people, and constitute the largest conurbation on the continent after Cairo. But — as a contributor to the Wikipedia entry on Brazzaville comments — there is, due to “political and infrastructure challenges,” little coordination between the lives of the two cities. 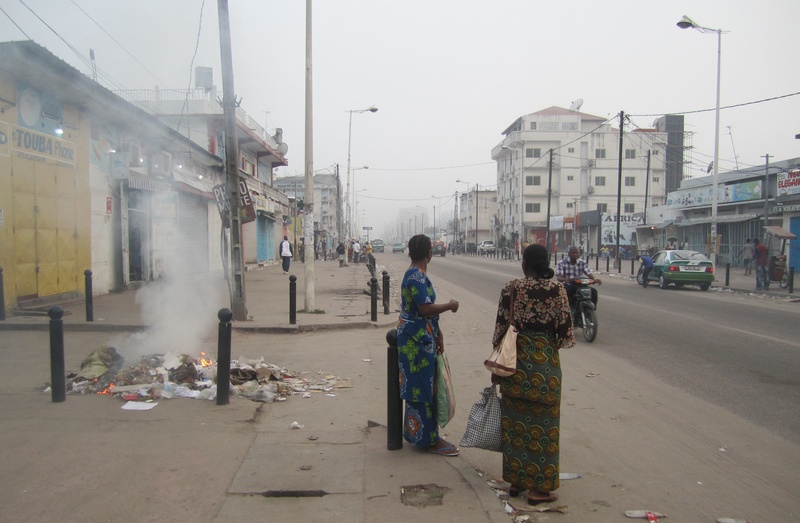 When I asked a local whether he’d ever visited Kinshasa, he told me no. “I got a visa,” he said. But then he never got around to taking the ferry. When the two countries are compared, Congo-Brazzaville comes out quite favourably. Despite a civil war from 1994 to 1997, the country is more politically stable and without such active or powerful opposition groups as the DRC. Stability is of course a mixed blessing — here, it means power has remained in the hands of the same president for more than 25 years. Surely he has an easier job than his counterpart across the river, who has almost 20 times as many people to rule (and people speaking more than a hundred languages, compared to about a dozen in the Republic of Congo). “You see Chinese in every town,” said Matthias, a postdoc from UCL who had just come by bus from the north of the country. There had been many Chinese on our flight from Addis Ababa too. It’s significant that Brazzaville was Xi’s first stop after Moscow after his election. The landscape outside of Brazzaville is rolling grassland. Flying over it, you see clumps of forest hugging river valleys and bottomlands. As we continued north, we crossed larger rivers clogged with thick bands of forest. After that, cloud cover hid the ground from us. When it cleared, there was nothing but forest below, as far as you could see: a green carpet traced with worm-trail river-streams. Then, as we began the descent towards the town of Ouesso, logging roads became visible, scored into the forest in a grid pattern, looking as if they had been marked into the earth with a fingernail, revealing orange-red dirt beneath. “This country is empty!” said an Indian engineer on the plane. Contracted by CIB, a logging company that operates in the region where we were headed, he was there to help build a power plant that would transform sawdust and wood chips — waste produced by the sawmills — into electricity. Companies like CIB (Congolaise Industrielle des Bois) are the inheritors and beneficiaries of the concession system established in colonial days, whereby vast portions of the country were parcelled off for commercial exploitation. Central to the economy, the companies fill in for the state in parts of the country where infrastructure is thin on the ground. CIB is considered by many to be a model company. A subsidiary of OLAM (the world’s largest producer of palm oil, according to Tomo Nishihara of the Wildlife Conservation Society), the company’s policies were initially shaped by an idealistic management who, through a long campaign of mapping and planning, set out to exploit the forest’s timber sustainably by extracting trees no faster than the ecosystem could replace them. They also provide free medical care for indigenous people at the company hospital, and free schooling. Pokola, CIB’s local headquarters, is for us just a jumping-off point for the forest, but it would merit study in its own right. The company employs more than two thousand people here, housed in buildings the size and construction of which corresponds to their position or rank — some of them spacious and built of solid brick, with verandahs and tiled floors; others simple “shotgun” shacks built of cheap wood, with shutters instead of windows for ventilation. It’s an artificial community of sorts, a peculiar example of the planned town — a topic that brings to mind Hippodamus of Miletos, and Plato’s Republic. 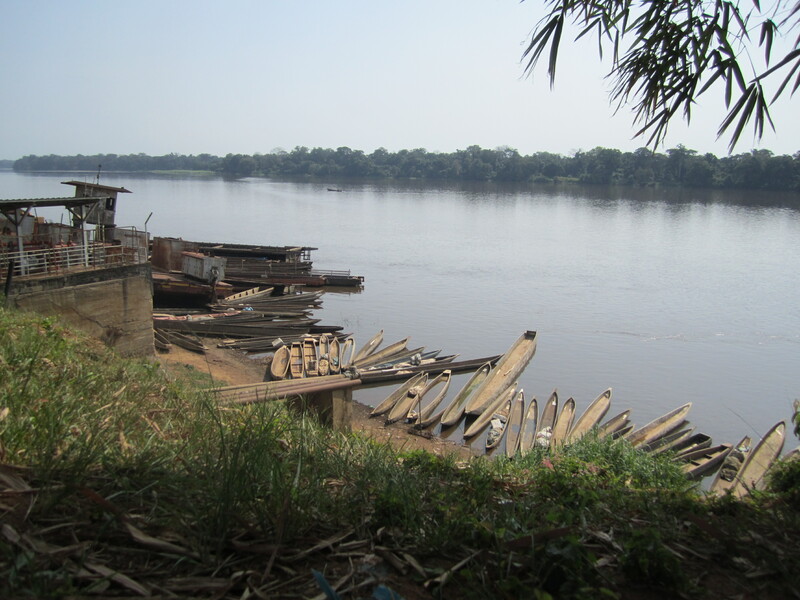 It seems all the stranger because the town is sited on the edge of what guidebooks call one of the world’s last areas of wilderness, and on the banks of one of the grandest tributaries of the Congo, the Sangha River. 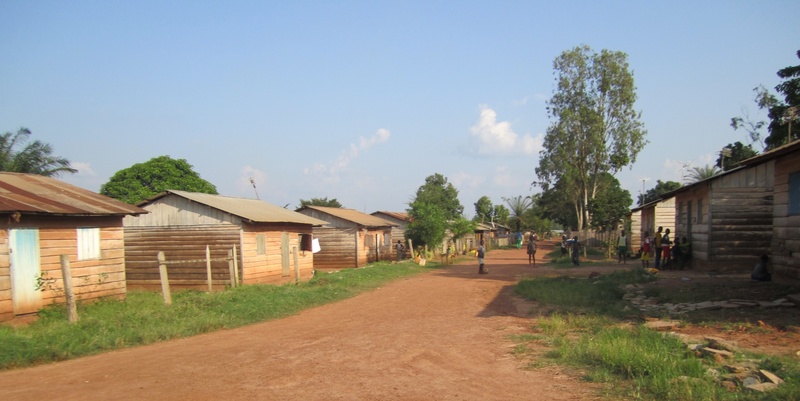 This entry was posted in Congo and tagged Brazzaville, Congo, Pokola, town planning. Bookmark the permalink. Thanks for sharing this, Matthew. Interestingly CIB has a policy of removing infrastructure from the areas it logs, after it finishes forest exploitation. I heard that’s in line with FLEGT guidelines for sustainable logging established by the EU (http://www.euflegt.efi.int/portal/). In practice, once a road’s cleared, it’s likely going to continue to be used. But in some areas near where we worked I heard of bridges being removed, and primary care clinics being closed down after CIB “moved on”. Hmm, I suppose it is a mixed bag. The short time I was in Burkina Faso a couple of years ago I noticed that all of the good roads had a secondary path worn next to them from foot and cycle travel so it is hard for me to imagine the footprint of the logging roads not continuing to be used to some extent. But bridges are a different matter, obviously. Enjoy your stay! And stay safe.